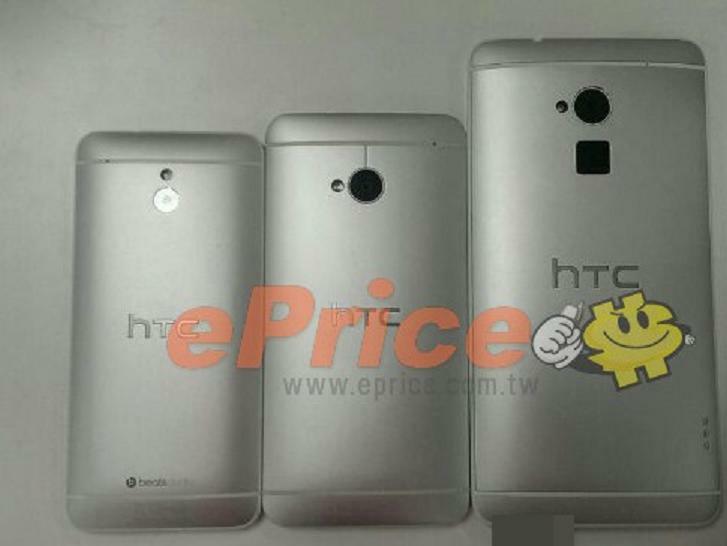 Could the HTC One Max Launch With a Fingerprint Scanner and Pogo Pins? The idea of a fingerprint scanner on your phone is nothing new and you will have a hard time selling a device solely based on that – just ask the Motorola Atrix. Nevertheless, fingerprint scanners seem to be making a comeback in popularity, and today’s picture of the back of the upcoming HTC One Max shows that it might include one as well. This new picture puts the One Max up against its brothers, the One and One Mini. If it is true, the black square placed underneath the camera is a fingerprint scanner that you can use to unlock your device. What is even more interesting are the 3 pogo pins along the underside of the device. If HTC can bring out some accessories for the One Max that actually utilize that underused hardware, they could make some waves. Throw in the reported microSD card slot with this device and you have an enticing list of specs already. Fingerprint scanner or pogo pins enough to draw you away from the Note 3?